Brie Harrison lives just down the road from One Mill House, and is as inspired by the beautiful Suffolk countryside as we are. 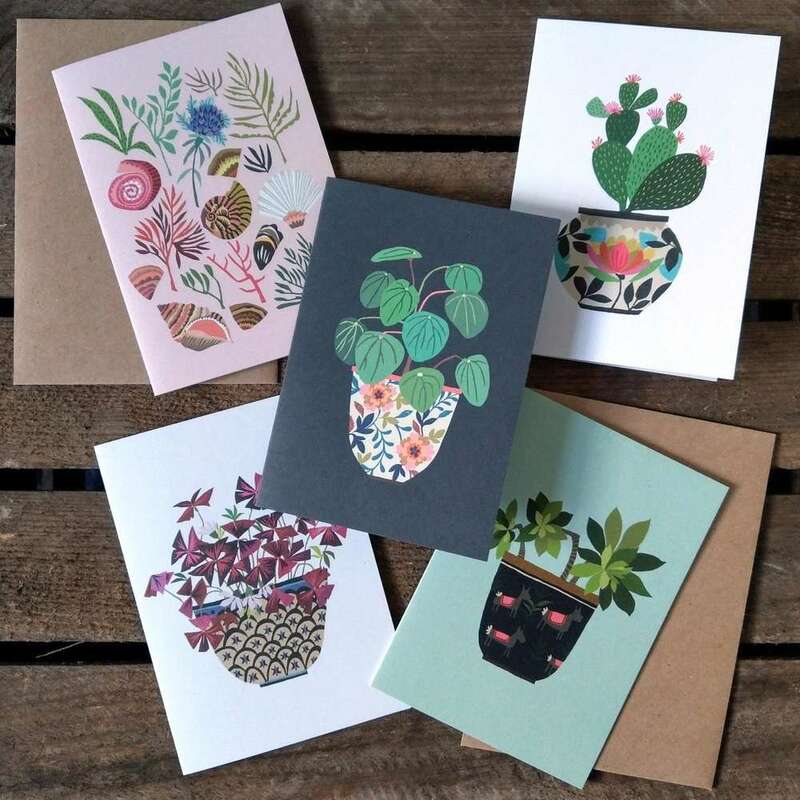 She creates beautiful botanical themed illustrations which become prints and cards.?? This cute little card features one of our all time faves, the humble fern sitting in a very pretty jug . It works equally well as a small print as well as a card and is suitable for all manor of occasions. The card is A7 sized, printed in the UK on 400 gsm is blank inside and includes a 100% recycled envelope.